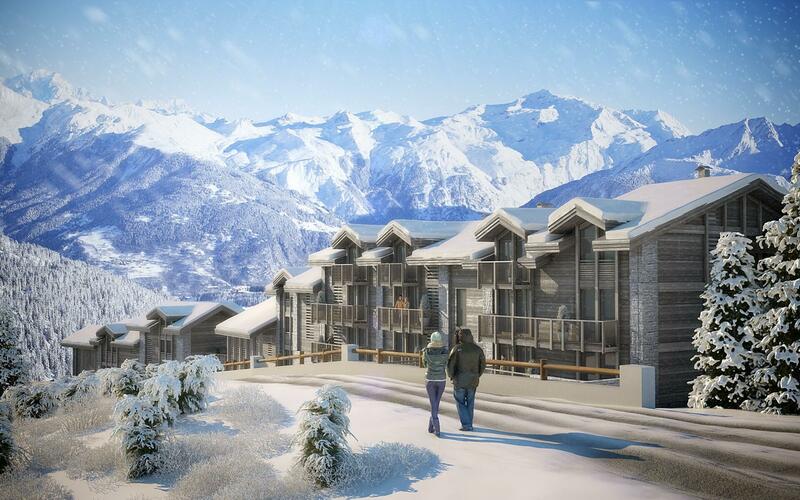 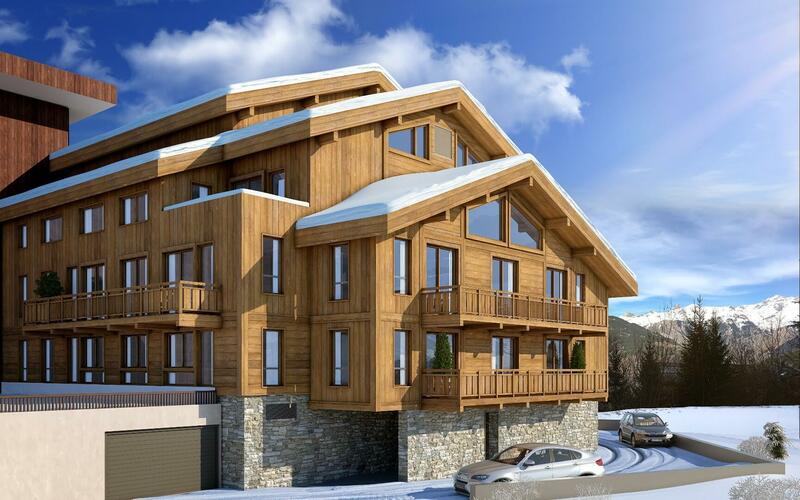 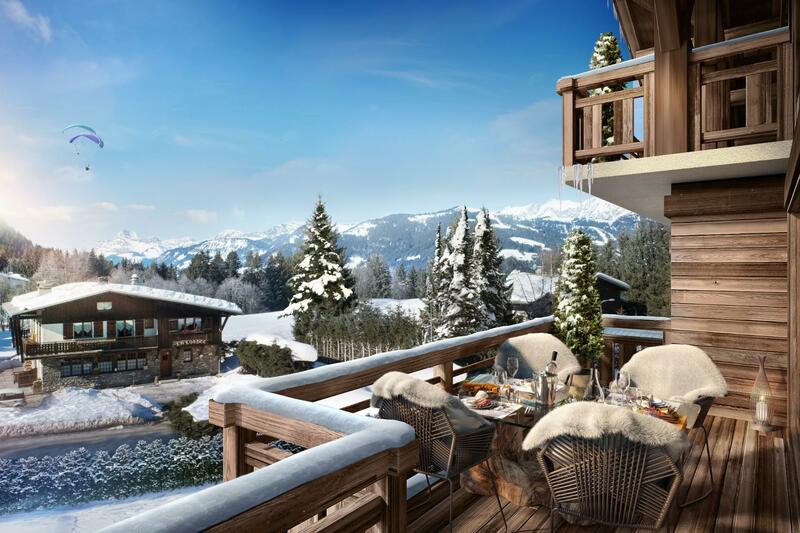 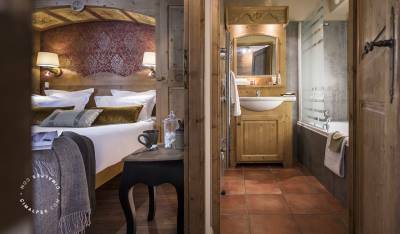 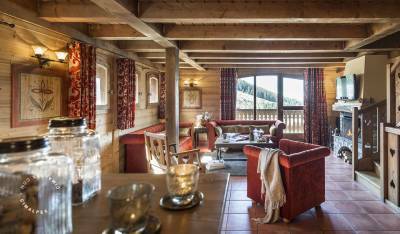 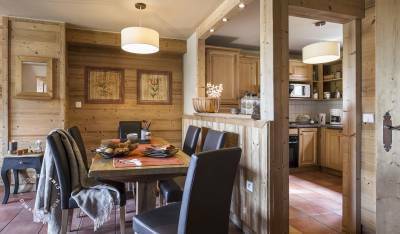 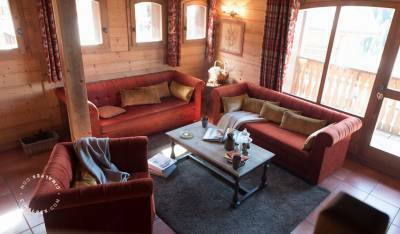 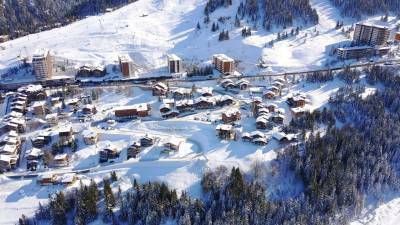 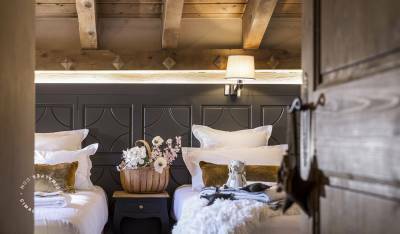 At the heart of the 3 Valleys ski area, in the famous ski resort of Courchevel, Les Chalets de la Mouria is a residence nestled at 1650m altitude in a quiet and warm environment with unobstructed views of the surrounding mountains and the Bozel Valley. 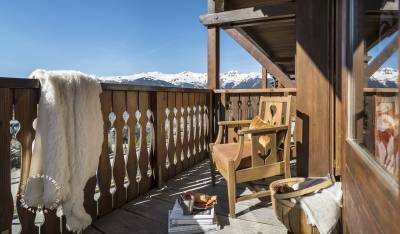 Designed as a small mountain hamlet of 6 chalets,using wood, rustic coatings and local stones, on one or more levels, this human scale residence enjoys a relaxing setting. 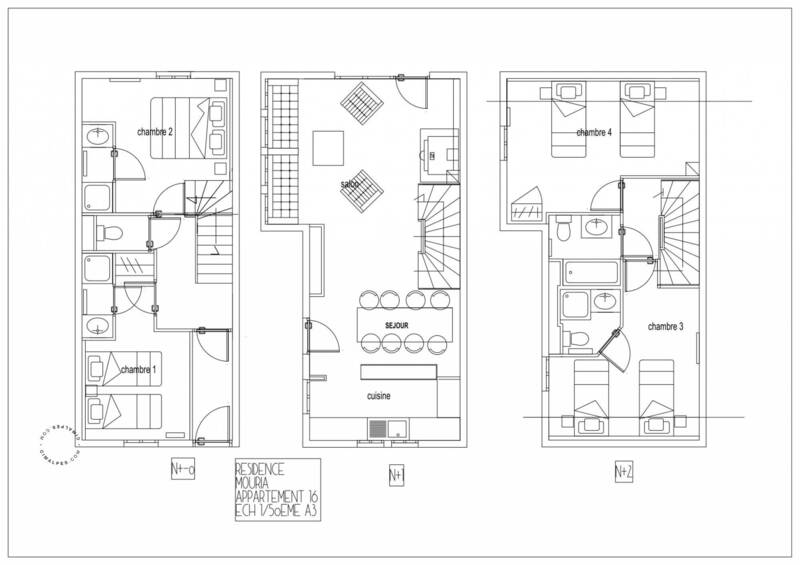 The triplex apartment is located at the second level of the building including four bedrooms.